The word of the week is “oops,” even if one brand did it on purpose. From an NBA story that’s nearly overshadowing the Finals to a breakfast announcement deserving of a double-take, social media provided some un- Brie-lievable stories this week. Bizarre B-Ball: In one of the weirdest stories in NBA history, Philadelphia 76ers president of basketball operations and general manager Bryan Colangelo (son of basketball royalty Jerry) has resigned from the team after an investigation determined he and his wife were involved in operating numerous anonymous Twitter handles that criticized 76ers players and league executives, and shared sensitive info on the team. Fixer Downer: Chip and Joanna Gaines of the uber-popular “Fixer Upper” are in crisis mode after the EPA found more than 30 homes from the show were not compliant with lead paint regulations. In addition to a $40,000 fine, the couple is making a move to produce a series of lead paint-awareness bonus content. “Slam” Dunk Stunt? : To promote a new Super Slam value meal, Denny’s purposely sent out a press release loaded with tracked changes and comments – with such edits as more exclamation points needed and additional food added. While the media ate it up, it’s unclear if PR creativity will cause Waffle House loyalists to switch sides. 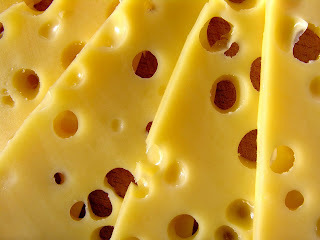 [Enter Cheese Pun Here]: Monday was #NationalCheeseDay, which trended harder than a chunk of Alma Vorarlberger Bergkäse. This is what gifs and short Twitter videos were made for. Don’t Make Your Client Fake News: While your clients’ products and services may be innovative and game-changing, steer away from unfounded claims – maybe even if they’re tongue-in-cheek. These six brands learned the hard way that fake doesn’t pay.